In the 1960's, Hermann Rorschach, a Swiss psychologist created a test for patients who are reluctant to openly discuss their thought process. 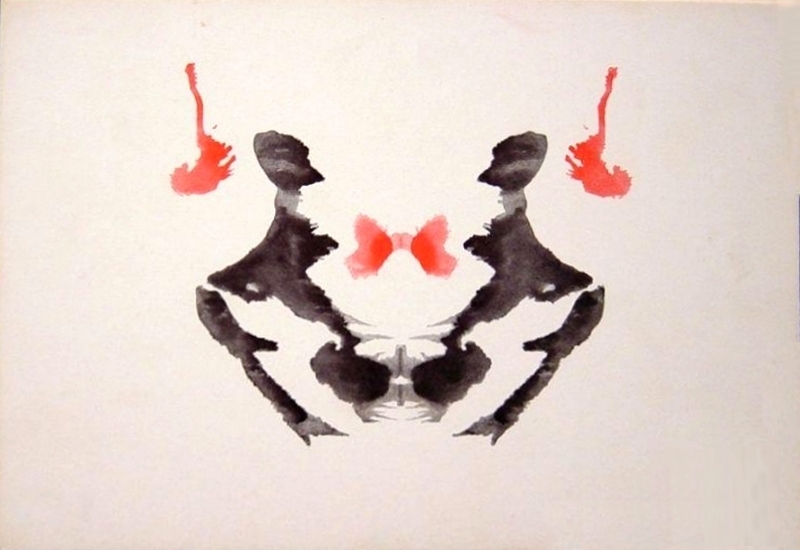 In the test, subjects' perceptions of inkblots are recorded and analyzed. The safe bet for those taking Hermann's test was always to "see things" that were safe, harmless, heartwarming and possibly humorous. People project things into the ink blots and you don't want to "see" a jihadi beheading a Christian, etc. The progressive, elitist shrink will interpret you to be Islamophobic - or something to that effect. Some components of the US intelligence community rely heavily on psychiatric personnel and attorneys. It's the same agency that lives and dies by the polygraph. Which should explain why there is some dysfunction - but I'm not casting stones. They don't retain the best shrinks because the pay is abysmally low. Then again, there are a lot of psychologists out there looking for work. And I digress. 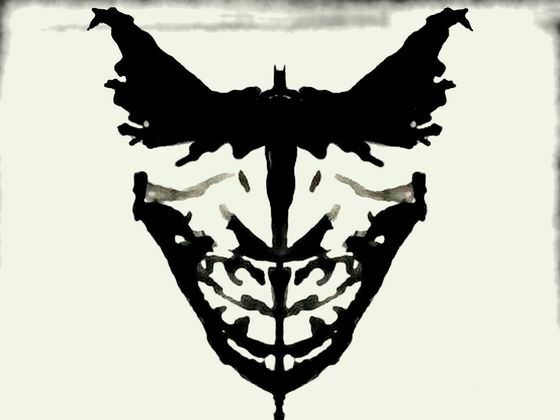 Barack Obama was not a human Rorschach test. People loved him because they didn't want to be perceived as racist. By any objective standard his presidency was an object lesson in failure since his Party lost the House, the Senate, Governor's slots and state legislatures during his time in office (his regime). Check out the ink blot map (right). 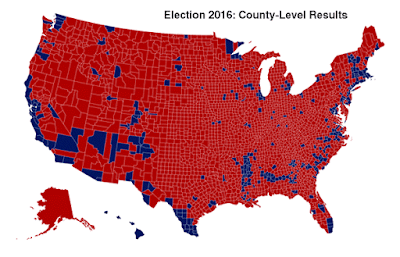 If you see that Hillary Clinton won by a landslide, as the corrupt, smug, pugnacious, revolting, elite, lying mainstream media still asserts - you need to voluntarily commit and have your bolt re-threaded. President Trump is unlike Barack in almost every measurable way. He's a patriot, he's a hard worker, he wishes to empower all people through a strong economy (a rising tide floats all boats) and the stock market created $3 trillion since he was elected. At the same time, people see in President Trump what they want to see. Call it a Rorschach test of Biblical proportions. Corrupt, elite, progressive media: Obama regime spying on the Trump campaign and transition team (through targeted 'incidental' collection - so as to not need a FISA warrant) - is acceptable. In fact, every outrage that the Obama regime undertook, no matter how Byzantine, or corrupt, is good as far as the cheering section in the media is concerned. The law is simply one of those things that applies to everyone else. Which is their justification for opposing Judge Gorsuch for appointment to the Supreme Court. If you watched the hearings, the judge discussed the need to follow the law. Liberals were outraged that he didn't apply the "progressive values" of "legislation from the bench". What the liberals see in the ink blots is a fantasm, a bit of glowing swamp gas, and they declare that the world will end. Yes, it represents emotional immaturity and instability but you almost always find those traits in actors. America represents a hybrid threat to the Russians (and the Chinese) - possibly the largest hybrid war machine that the world has ever known. A belligerent confronting a hybrid threat must decide which piece of it to fight. All of the elements of its combat power, and of its allies combat power are vital sources of strength. Add to that the phenomenon that the US is almost always hopelessly politically divided - until attacked (see World War 2 and the post 9/11 politics). They weld like a Damascus blade and become impossibly tough. harboring lesbo love for each other, you're a sick person. Ignore the fetus on the umbilical cord. Deprived of the capacity to concentrate on one problem at a time, the belligerent has only two alternatives: Increase the number of forces committed to the conflict directly or by finding allies; or by sequencing operations to limit the ground that friendly forces must control at any given time, accepting the consequences of prolonging the conflict. Today that also includes Earth-orbit space. The Russians don't want to do that. So in their own Russian way, they pursue small and achievable political and military goals, gaining turf (see Syria and Libya). The Chinese are doing the same thing, but in a Chinese manner. American politics are mysterious and dangerous to the Chinese. The Russians understand America much better than do the Chinese but they don't really want to galvanize America against themselves. They don't win if they do. The American public (that couldn't find Russia on an unlabeled map if pressed to) is ignorant except that the name "Russia" evokes the thought of evil hoards marching to some unpleasant goal. Thus the Democrats, unable to blame Bush, now blame Putin (and Trump) in their strange Rorschach interpretation of events.